Spring always been known as a time of rebirth, and the spring detox has emerged as a major trend for refreshing body and soul. But we believe there’s no better way to banish the winter blues and clear your mind than with a wellness retreat. We’ve selected some of our favorite spots around the globe—stunning destinations that are equal parts relaxing and rejuvenating, and the ideal setting for a seasonal refresh. Detoxing never looked so appealing. 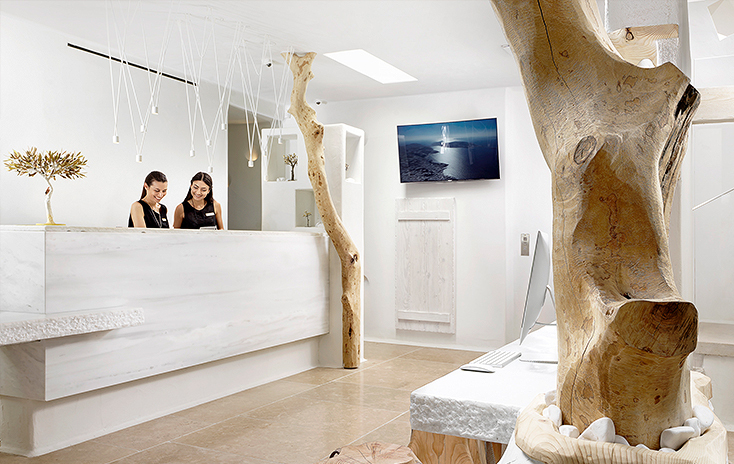 Chalet Mirabell is a luxury spa resort located in the magical alpine region of Italy’s South Tyrol. 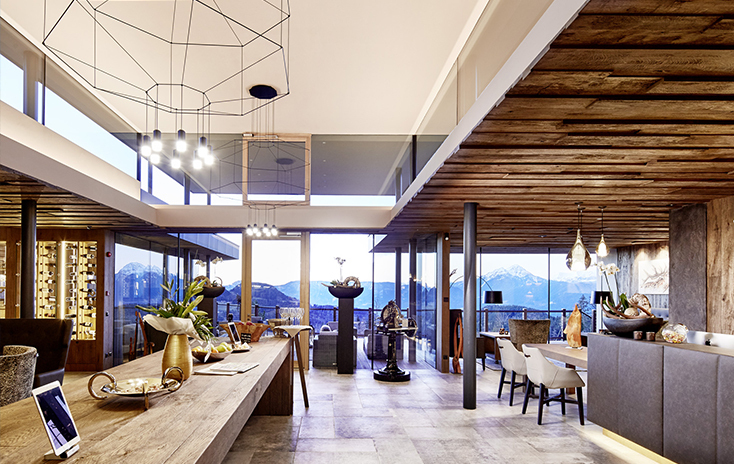 Mirabell nods to its beautiful mountain surroundings with rich wood décor and breathtaking sightlines. Displayed in the reception area, Vibia’s Wireflow pendant designed by Arik Levy exudes an airiness that echoes the high-altitude environment and features a bold geometry befitting the dramatic space. 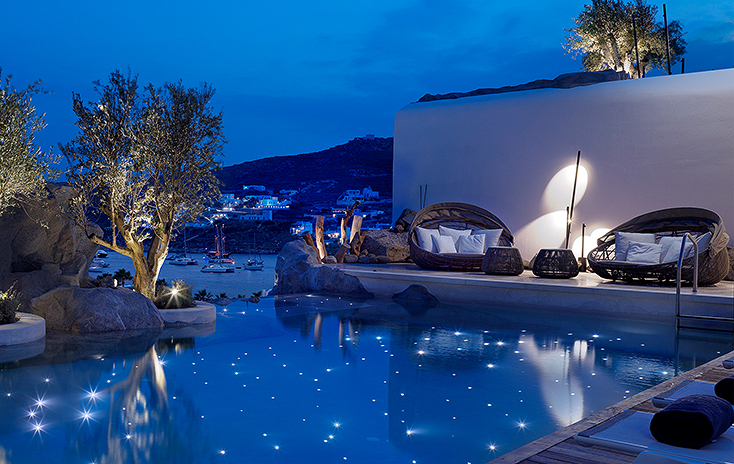 Located on the Greek island of Mykonos, Kensho Boutique Hotel & Suites is inspired by the natural beauty of the Cyclades. A minimalist design aesthetic prevails, including Vibia’s Bamboo floor lamp by Antoni Arola and Enric Rodríguez. Displayed in the pool area, the organic, branchlike fixture is seamlessly integrated into its serene outdoor setting. The Match pendant designed by Jordi Vilardell and Meritxell Vidal for Vibia is suspended above the reception area, its cascade of slender lines adding a sculptural element to the entry area. 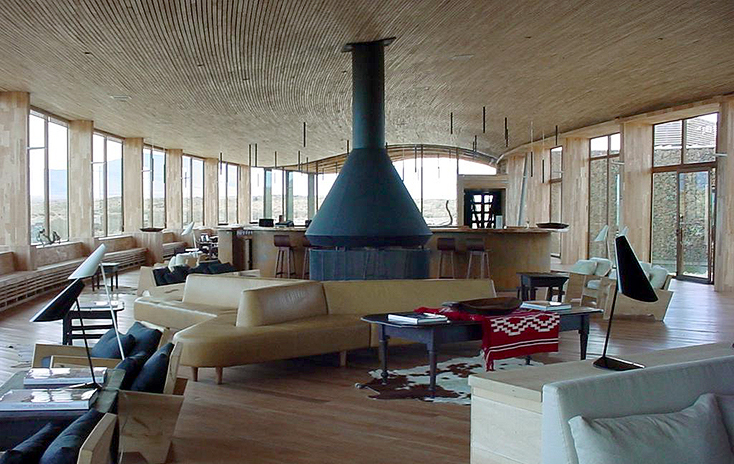 Situated high on a bluff where the South American pampa meets Lake Sarmiento, Tierra Patagonia Hotel & Spa represents a perfect marriage of architecture and environment. This luxurious hideaway places a premium on peaceful, uncluttered design, ceding center stage to the awe-inspiring surroundings. 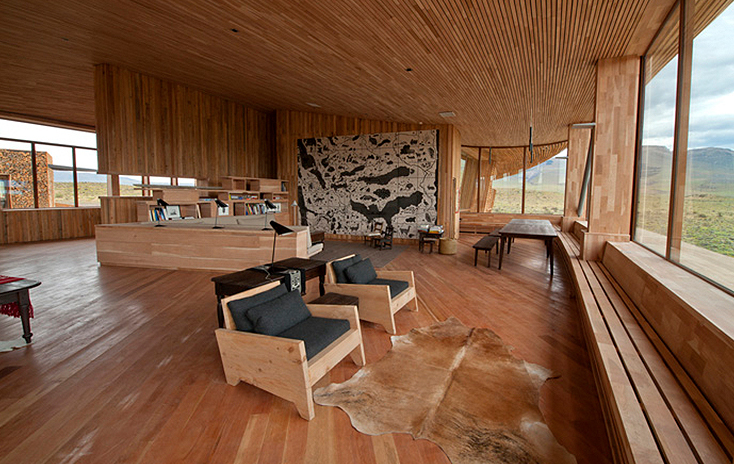 The living area, a calm, spare space with wood-clad walls and expansive windows, features Vibia’s I.Cono table lamp designed by Lievore, Altherr, Molina. The sleek, streamlined fixture offers a minimalist punctuation mark perfectly in keeping with the hotel’s understated aesthetic.